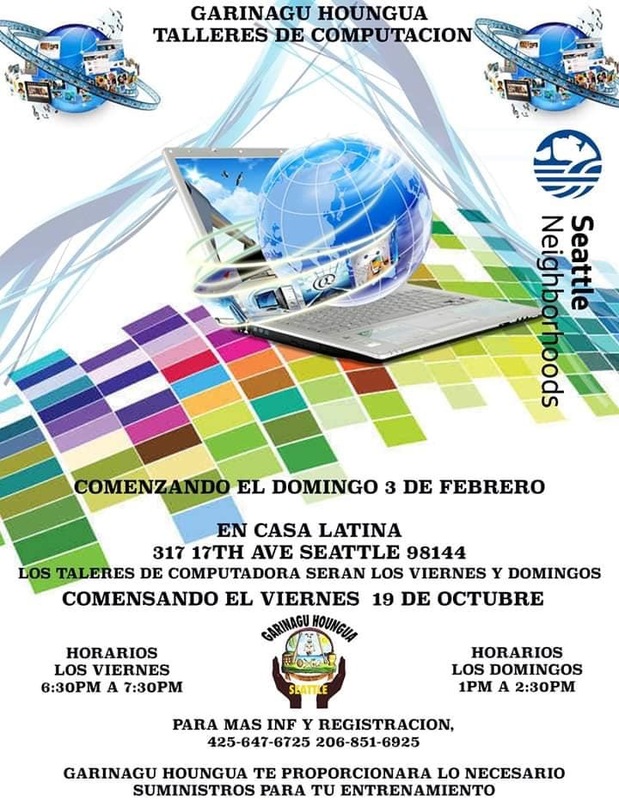 Starting on Feb3, 2019 Garinagu HounGua is holding the Second series of computer literacy workshops in La Casa Latina(317 17th Ave S, Seattle, WA 98114). This is free and open to the public. Hours: Fridays(6-7:30pm) and Sundays(1-2:30pm). Please come and join us; we are providing the computers to all students. Saturday April 14, 2018 we will be celebrating Garifuna 222 years in Central America. Please come and join us in this free event where we will be celebrating Garifuna Heritage and Settlement in Central America. We will have food, drinks, music and a special performance by a Garifuna artist. Cultural Language Teaching WorkshopsJoin us, bring your children and all the family to learn about the Garifuna culture and language as we exchange with Panama Folklore and their art. Gariguna Language and Culture Exchange. Kick Off Event. Join us in our teaching workshops. It's free and open to all. This is currently takin every Sundays from 3 to 5pm in La Casa Latina. The address: 317 17th Ave S, Seattle, WA. We are extremely proud to be, if not the only, one of the few African descendent groups in the Americas that have preserved almost intact their traditions, language, and culture. Now, we can't ignore the fact that our culture faces enormous challenges trying to remain current and stable. The Garifuna language faces the threat of being diluted; these workshops are designed to combat this threat . 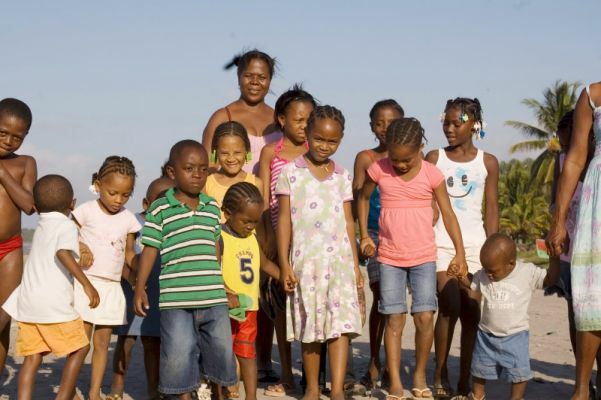 We envision a better constructed and more solid Garifuna heritage for our future generations. We are committed to the poltical, social, and economical development of the Garifuna community in the countries in which they reside. Teaching our kids about their culture; that is a top priotity for Garinagu HounGua. Garinagu HounGua seeks to solidify the Garifuna heritage by passing on to our kids the traditions, customs, and language that are a representative of our culture and our overall identity. We strive to form a sense of pride in our kids. A sense of belonging. We believe these workshops are going to help us to reinforce the values and mores that are a distinctive of our culture. We also believe this type of events are a great tool to engage Garifuna parents in the cultural education of their kids. They will appreciate more the importance of teaching their kids the history of where they come from, but more importantly, the plan for their future as Garifuna leaders. Upcoming activities: Workshops and Festivals. 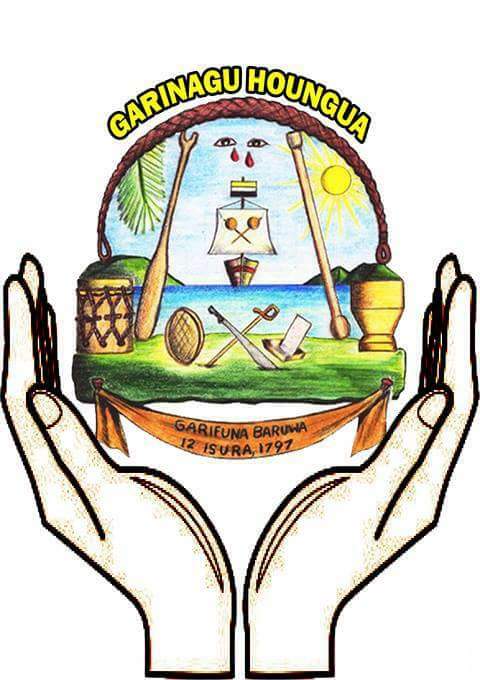 To preserve the Garifuna religious customs and culture, and to assist immigrant families, Garinagu Houngua will be implementing several programs. Garinagu Houngua will be seeking donations and grants to support their programs. Description: These workshops include cuisine classes, traditional dance classes and song classes, and history lessons. Garinagu Houngua offers workshops to teach the youth or anyone that wants to learn how to cook Garifuna’s most popular meals and snacks. The Garinagu have a very extensive menu. As part of understanding and learning about the Garifuna culture, these youth can learn and enjoy cooking traditional meals like Machuca ("hudutu"); Fish boiled in coconut milk, called "serre", served with mashed plantain called "hudut", is a delicious rich meal. As a cultural tradition, Garifuna communities around the world celebrate the arrival of our ancestor to the Atlantic coast of Central America back in 1797 after being exiled from St. Vincent. 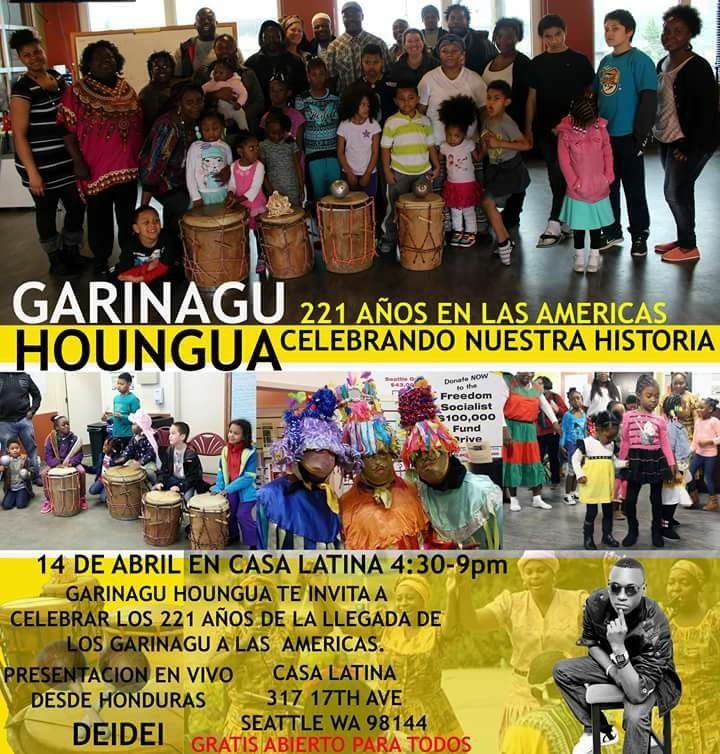 Garinagu Houngua will host this event each April to give the public a chance to learn about the Garifuna people and experiences their traditional music, dances, and cuisine. Who conducts the activities: These workshops and other events are conducted by volunteers. When are the activities conducted and where: These workshops and events are held in public libraries, at least twice a month. Secretary of Garinagu Houngua. Originally from La Ceiba Honduras and currently residing in Seattle, WA. Treasurer of Garinagu Houngua. Originally from Trujillo Colon Honduras and currently residing in Seattle, WA. Fiscal of Garinagu Houngua. Originally from Labuga Guatemala. Currently residing in Seattle, WA.